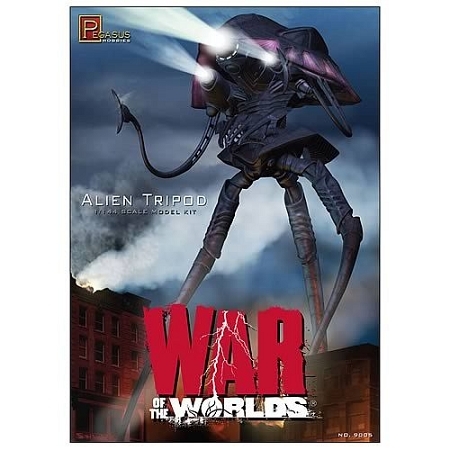 sTRAIGHT FROM THE BLOCKBUSTER 2005 MOVIE "WAR OF THE WORLDS" COMES THE INCREDIBLE ALIEN TRIPOD MODEL KIT. 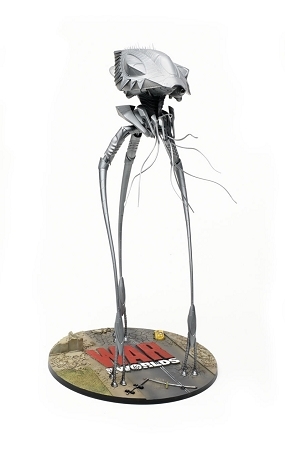 It's menacing three leg design and unstoppable attacks make this walking war machine one of the most memorable sci-fi designs ever to appear on film. malevolent and menacing creatures ready to wreak havoc over mankind's dominance of this world. 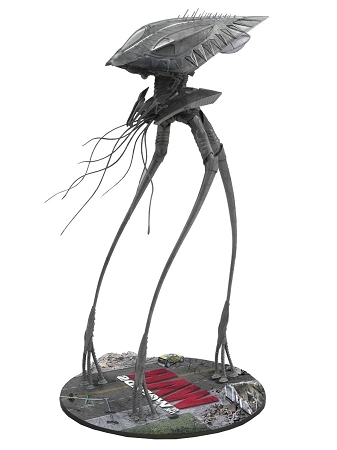 having come to earth to CONSUME its natural resources, they will stop at nothing to complete their mission... to take this planet as their own. detailed studio accurate model created from the original 3d computer model.